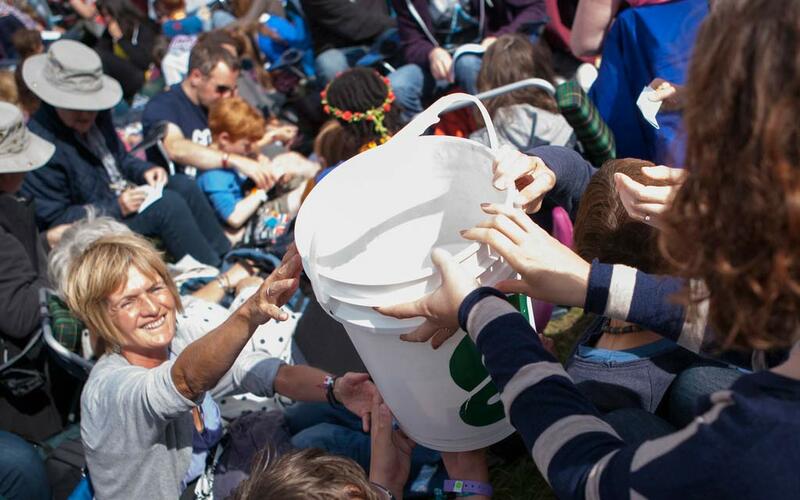 Each year at Greenbelt Festival we host a communion service. Everything stops. We celebrate and remember together. And we give. And that giving we set aside (apart from in emergencies) so that we can give it away. It is Greenbelters’ generosity that enables Greenbelt to be generous. We’ve just been through a tough time, financially. So our latest round of Trust Greenbelt giving feels all the more sweet and satisfying. We’re pleased to announce that we’ve just made £80,000 worth of grants to projects and initiatives combining and resonating with our three-stranded DNA of arts, faith and justice. That’s £80,000 to projects that – more often than not – would find it hard to impossible to access other forms of funding. We don’t give huge grants. But we know that what we do give makes a world of difference. In this round of grant-making, we’ve been able to fund projects from all four UK countries, as well as achieving a balanced distribution between projects in the north and projects in the south of England. We’ve funded global initiatives in Israel-Palestine, Uganda, Congo, Thailand, Poland, Afghanistan, Lesvos and Rio. We’ve made grants to a number of theatre companies making transformative performing arts. As a result of the grants we’ve made, two books will be published that otherwise would not have been. Importantly, we’ve been able to fund a number of refugee, migration and asylum projects – as well as quite a few women’s and young people’s projects, too. And, because all their bids were really strong, we’re also thrilled to be able to continue our supportive relationship with five like-minded festivals – Solas in Scotland, Bet Lahem Live in Palestine, Coda in Wales, snAperture in Northern Ireland, and SLOT inPoland. All in all, we funded 38 out of the 67 bids we received, granting a total of £80,000 this Easter.